I have to say, dam you Hilton hotel in Paris for having Nutella out next to all your gourmet pastries. If it wasn’t for that darn hotel I would never of tried Nutella and now I am hooked, line and sinker!! 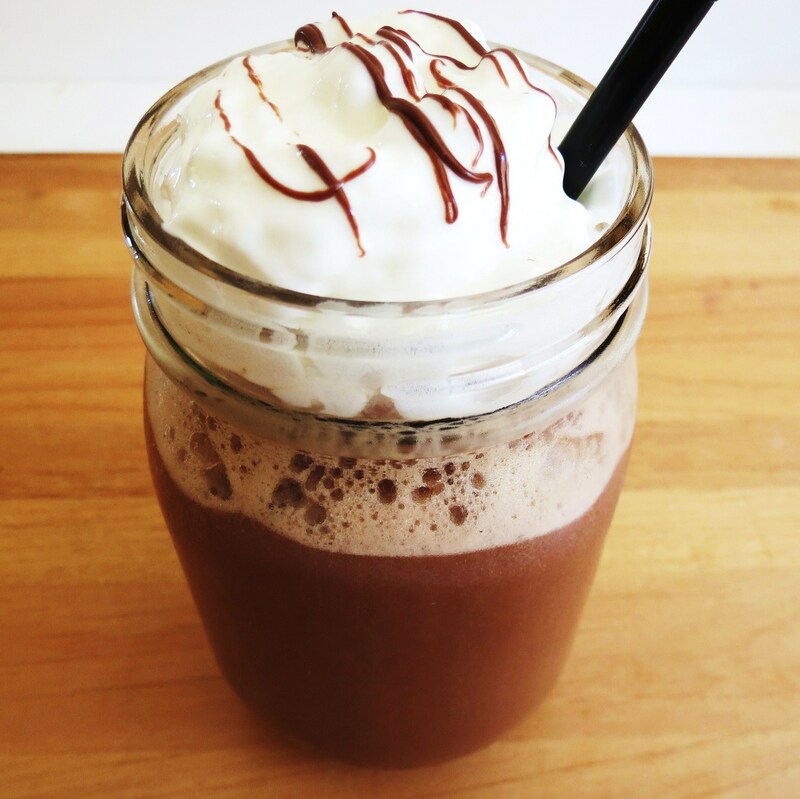 This weeks coffee drink is NOT made with Nutella, but it tastes like it! I made it twice, first the tester and second was to make sure it was right! The first version was made with chilled coffee and ice cubes. Plus I used a Tully’s French Roast K-Cup Coffee. It tasted wonderful!! The coffee really makes it, so make sure you use the coffee you like. To test it, I had my jar of Natella next to me so I can compare tastes. Now this isn’t identical to Nutella because it has a slight coffee taste to it, but other than that, the taste is spot on. Here’s the picture from batch number 1 made with ice cubes. The second batch I made I used Nescafe Decafe coffee that I took from the Hilton. They were in my room, so I thought I would take a few home since I didn’t have any decaf instant coffee. I will admit I like Tully’s French Roast coffee better than the Nescafe. When I made this batch I used frozen coffee rather then ice cubed. I like the consistency better because it’s more like a Frappuccino. The flavor is still spot on. 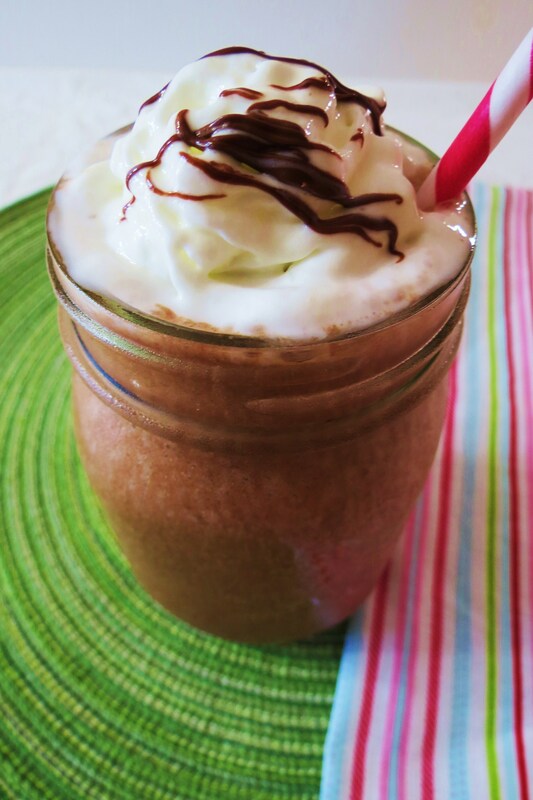 I think to make this drink even better, would be mixing the whip cream in to give it a richer, creamier flavor. I did that after I took my pictures. Oh it’s so good!!! I made this coffee using imitation hazelnut extract that I picked up from my local grocery store. To give it a chocolate taste I used 1 tablespoon, plus 1/2 teaspoon of unsweetened cocoa powder and for the creaminess I used non-fat milk and coconut milk. To top it off I added Redi Whip fat Free Whip Cream and a drizzle of Nutella for a pretty look. In the calorie count I did include the whip cream because I think it’s just perfect in this drink! If you’re a fan of hazelnuts then this is the coffee for you. Honestly I never likes hazelnut flavored coffee or syrups, yet I love Nutella. It must be the chocolate in it? I wanted to create this drink to be healthy and low-calorie and I think I succeeded. It makes a little over 2 cups and comes in at 68 calories. Not to shabby for a chocolate Frappe that tastes like Nutella. 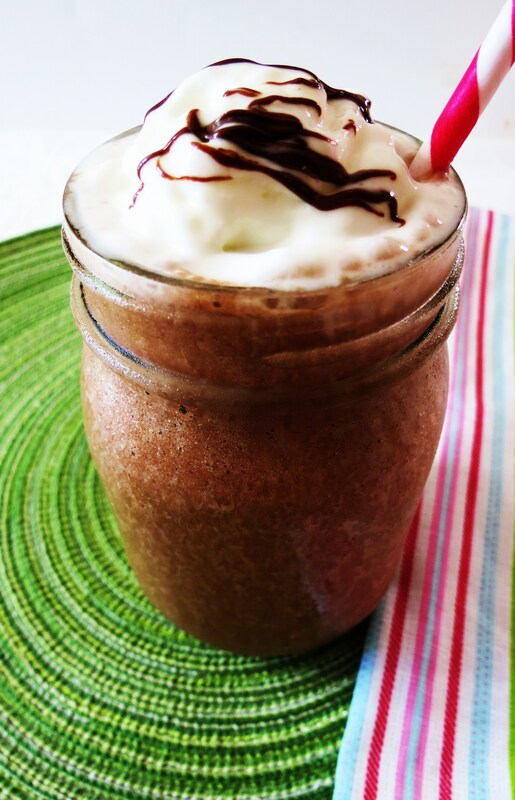 A creamy, chocolaty, hazelnut blended coffee drink that tastes like Nutella. Place coffee in a shallow container, cover and freeze for 4 hours or overnight or chill the coffee in the refrigerator and use 5 ice cubes instead of freezing. 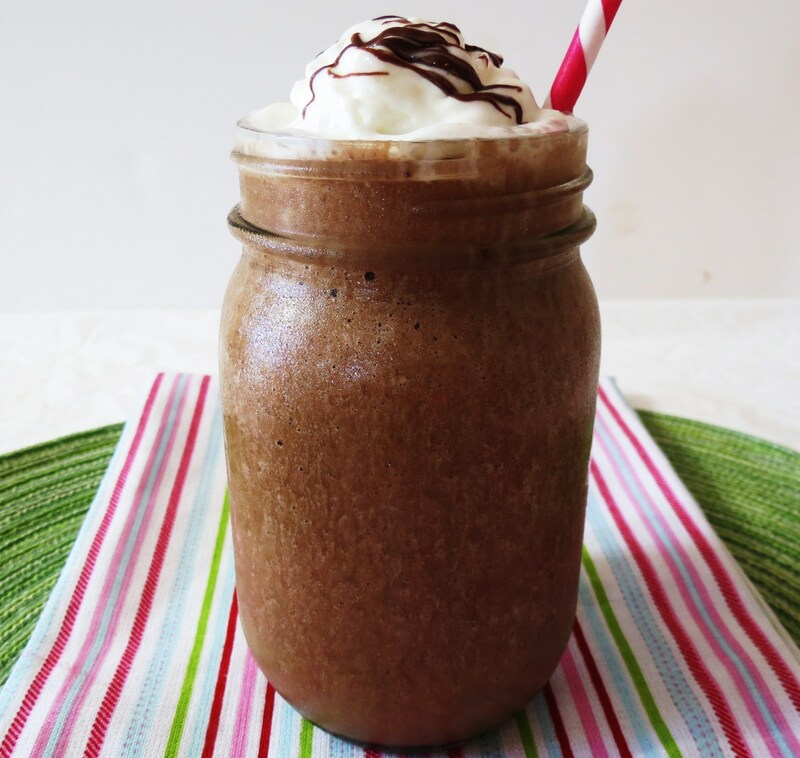 In a blender add coffee (ice cubes if using), milk, coconut milk, hazelnut extract, stevia and cocoa powder. Blend until combined. I was so excited to share this with you on Monday, but the frozen yogurt really made my day! I have had one every night since Sunday! It is so awesome to have a guilt-free dessert every night!!! I hope you like today’s coffee drink. What kind of flavor would you like me to come up with next? I am having so much fun creating these for you! There’s no way I could every live in france with all the nutella, bread and cheese! I’d weigh 500 pounds! But thanks to fabulous treats like this, I can get that nutella essence without all the calories. Love it! I could never live in France for the same reason. I stuffed myself with pasteries and bread then to top them with Nutella. Very dangerous!! Oh my god, this is the coffee drink of all coffee drinks. I think I may need to bump this to my number one, even in front of the caramel frappe! Topping the caramel frappe, ohh, let me know if you make this one and what you think of it! I’m completely obsessed with Nutella!!! I bought it in the big jar at the grocery store since I seem to go through it so fast. As for what to make next, definitely something with chocolate!!!!! 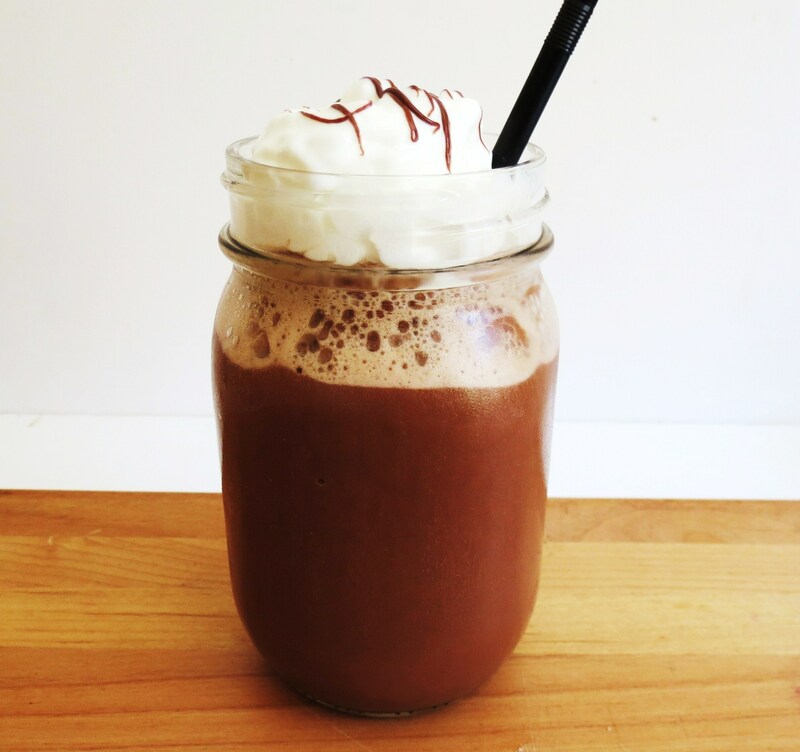 I can so make a chocolate drink so easily. I’ll come up with a creamy delicious one! 🙂 I am loving the Nutella, it’s so bad, but so good!! A Biscoff Frappe sounds good! I am so so fond of Nutella that I had to come here through Amber’s blog hop. What a fabulous recipe!! This coffee rocks. Thanks! I love this coffee too!! You are quickly becoming my go-to girl for coffee drinks 🙂 Love the Nutella in this one! Thanks! I’m having fun making the coffee drinks! Hi Heather, I used Trader Joe’s unsweetened coconut milk in the food isle with the almond milk and soy milk. You can see it on on my Trader Joe’s page, it’s under occasional buys number 34. Oh my gosh. The stats on this are unreal! I must get hazelnut extract and try this now! This SOUNDS so decadent, but the nutrition stats say otherwise! Yum! Oh wow! This recipe has made my morning! Could I just use Nutella in this, instead of buying extract and coconut milk? I’ll let you know if I try it! Of course you can, but your adding upthe calories, since it’s 200 calories for 2 tbsp. of Nutella. I bet it would taste good too!! Let me know how it turns out. I wasn’t worrying about the calories today, and it was awesome. About 2 tbsp of Nutella, coffee (I froze some in cubes too), skim milk, and some sweetener. 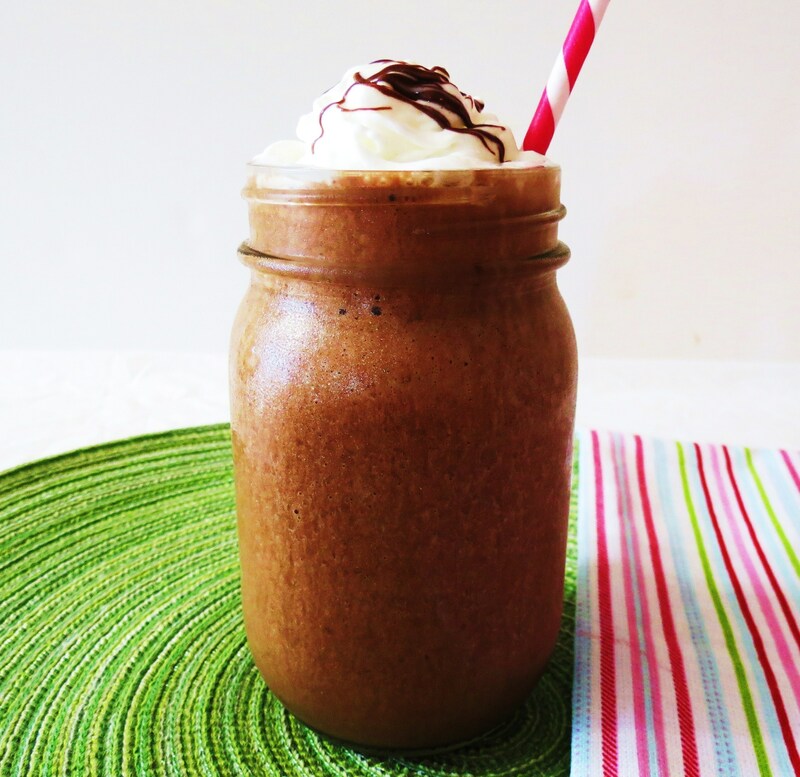 Made two servings – good enough to call a milkshake! Ohhh, so you added 2 tbsp. 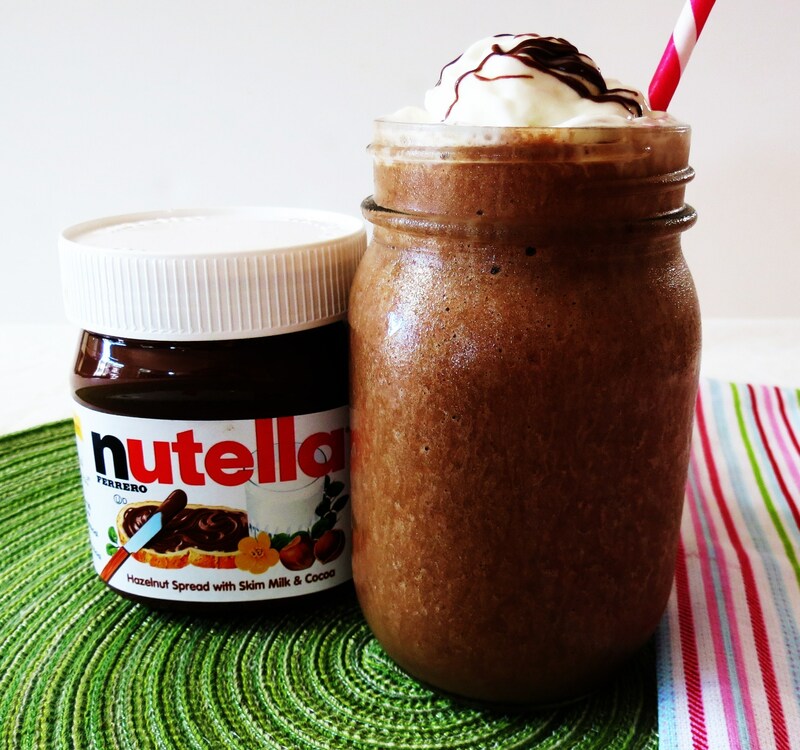 of Nutella to it, love it!! Sounds delish!!! If I wasn’t such a snacker, I would try your version, hmmm, maybe I will and just have to be good that day!! It was hard doing this test! lol Yes those darn little packets of Nutella were everywhere, so I had to see what all the fuss was about. I wish I never discovered it, because now I love it!! Hi Jennifer, one more delicious recipe, one more success on RecipeNewZ and one more feature for you on our Facebook page: http://www.facebook.com/RecipeNewZ. Keep them coming! Oh my gosh! Thank you, thank you! I love your site!! Thank you for having me!!! I’ll have to check out Amazon! I just bought my jar from Target. We love nutella! This looks delicious! Thanks for sharing on Foodie Friends Friday! Please come back on Sunday to VOTE! I’m pretty sure that I could drink this every day, and never get tired of it. I love iced coffee. Stop by on Friday, you are one of the featured recipes for Sweet Tooth Friday! Oh my gosh thank you for the feature! I could so drink this everyday too!! Oh man, now that sounds like a good frappe. Snickerdoodles is one of my top three favorite cookies. I must make that!! Would it be ok to sub unsweetened almond milk for coconut milk? I can get the almond milk easily around here, but not so sure about coconut! Can’t wait to try your recipes! Sure, give it a try, I’m sure it will taste great! Let me know how it turns out!! You’re killing me! I know I have some instant coffee in the cabinet so there’s no reason not to make this today. Mine won’t be quite as healthy as yours, I don’t have the coconut so I’ll have to substitute just a bit. Thanks for sharing, pinned! Make it your way and let me know what you think of it!! I love this coffee!! I never thought I would like hazelnut, but I was so wrong!!! Ok…I LOVE nutella and was excited to try this tonight. I had to order the hazelnut extract (since EVERY store in town here doesn’t sell it…). Used all the same ingredients except for the whipped cream (I used soy). And, honestly, if it wasn’t for the whip cream, this drink would have been horrible. I was actually really disappointed. It tasted like I was just drinking hazelnut extract. The cocoa and flavors didn’t really blend at all. So sad…. It’s ok! Just being honest. Different strokes for different folks. 🙂 Was worth a shot! Would the canned coconut milk work in this recipe? I don’t think so. I heard other people tell me they used canned and it tasted disgusting. I think it may make the drink to thick and greasy. It looks wonderful to the sight and marvelous to the taste. Love it. 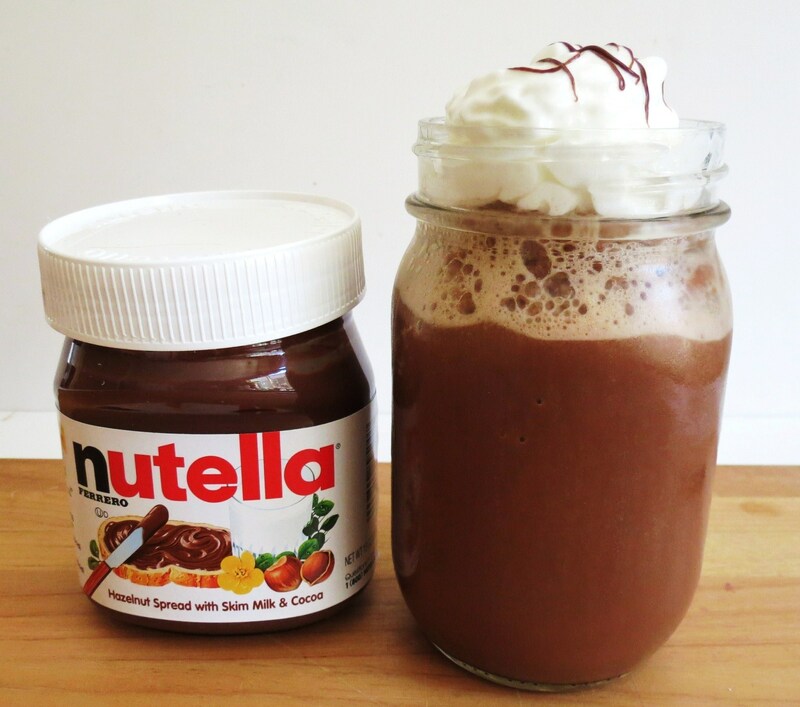 I share you passion for Nutella, and this Nutella coffee looks wonderfull!